Like so many of my peers, I set off a couple years ago to college in Washington, DC, looking to save the world, or at least change it, and promptly found that the world is a bit uncooperative. Unfortunately, there seems to be a glut of well-intentioned young people in pursuit of college degrees and world peace at the moment. To be quite honest, I seem to be a good bit more cynical now than ever before. 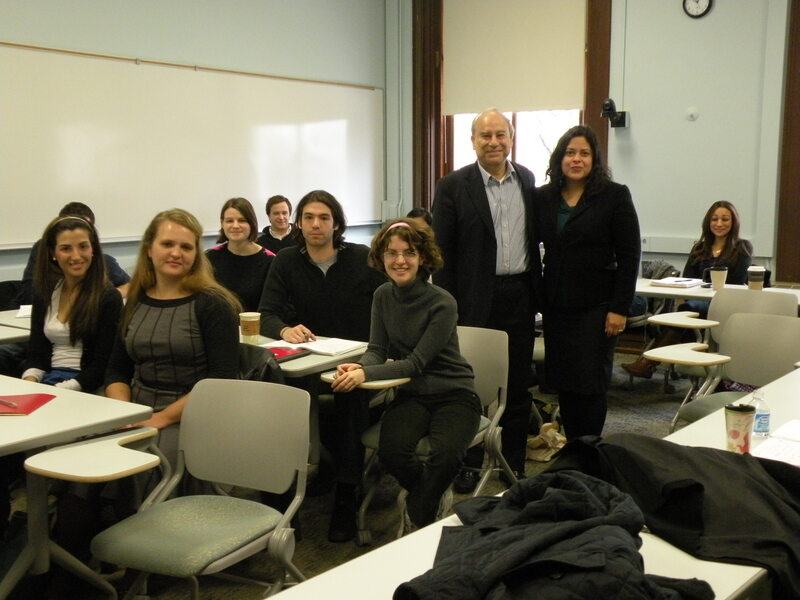 That cynicism held for my last real class of the semester, in which we would have Maya Soetoro-Ng as a speaker. “She’s only coming to speak because she’s President Obama’s sister,” said my inner snark, which may have been right. However, I was to be blown out of my complacency and ennui by Ms. Soetoro-Ng and her message. 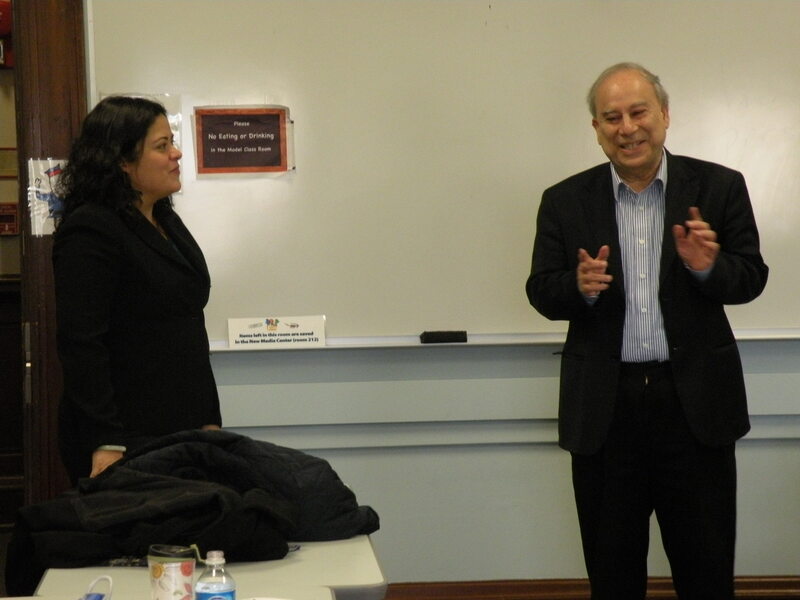 The course focused on American identity and the American Muslim community and was taught by Ambassador Prof. Akbar Ahmed. In our explorations of what it means to be American, we had played host to many distinguished visitors who eloquently addressed us; Ms. Soetoro-Ng, in my opinion, now tops the list, and I only wish she taught in DC. That’s the President of American University, Dr. Cornelius Kerwin, in the ‘white house’ on campus, of course. We had the honor of visiting him in his office this week to meet with him and brief him on the status of the project and interview him as well. He was very eloquent and spoke very highly of the project. He congratulated us and called “Journey into America “likely to be one of the most definitive works to date on the Muslim experience in the United States”. High praise, for the project and for Ambassador Ahmed. We were really happy to have that vote of confidence from the Big Man on Campus. Please see the video below for more.